"How do Casinos quickly & accurately measure dice?" 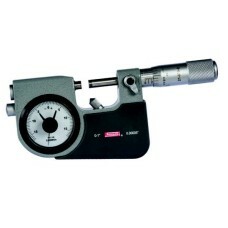 If you need a new Dice Micrometer you came to the right place! Have confidence that your dice are within specification with a high accuracy indicating micrometer. All Fowler, Bowers, Sylvac and SPI Dice Micrometers are on sale! Quantity and reseller discounts are available. 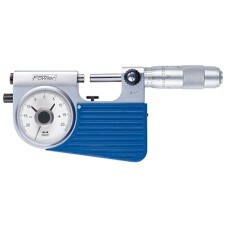 52-245-501-0 Fowler Indi-X Indicating Micrometer 0-1"
The Fowler 52-245-501-0 0-1" Indi-X Indicating Micrometer is on sale at Ga.. The 52-426-002 Fowler Bevel Edge Inspection Square is on sale at Gaging.com Blade length 2-3.. The 52-426-003 Fowler Bevel Edge Inspection Square is on sale at Gaging.com Blade length 3-1.. The 52-426-004 Fowler Bevel Edge Inspection Square is on sale at Gaging.com Blade length 4" .. The 52-426-005 Fowler Bevel Edge Inspection Square is on sale at Gaging.com Blade length 5" .. 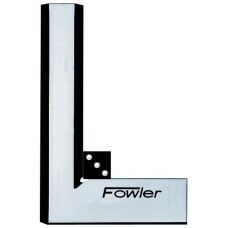 The 52-426-006 Fowler Bevel Edge Inspection Square is on sale at Gaging.com Blade length 6-3.. The 52-426-008 Fowler Bevel Edge Inspection Square is on sale at Gaging.com Blade length 8-1.. 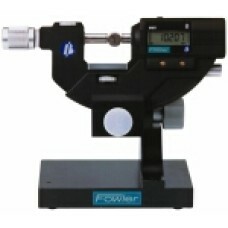 The 52-426-010 Fowler Bevel Edge Inspection Square is on sale at Gaging.com Blade length 10-..
54-245-777 Fowler Bowers Electronic Inch / Metric Snap Micrometer 0 - 1.25"
The 54-245-777 Fowler Bowers Electronic Inch / Metric Snap Micrometer 0 - 1.25"/0-30mm range is on s..
54-245-780 Fowler Bowers Electronic Inch / Metric Snap Micrometer 1.25-2.50"
*0-1.25"/0-30mm model is shown in picture above The 54-245-780 Fowler Bowers Electronic Inch / Metr..
Works with Indicating/dice micrometers: 52-245-106 54-245-777 Always featuring ..